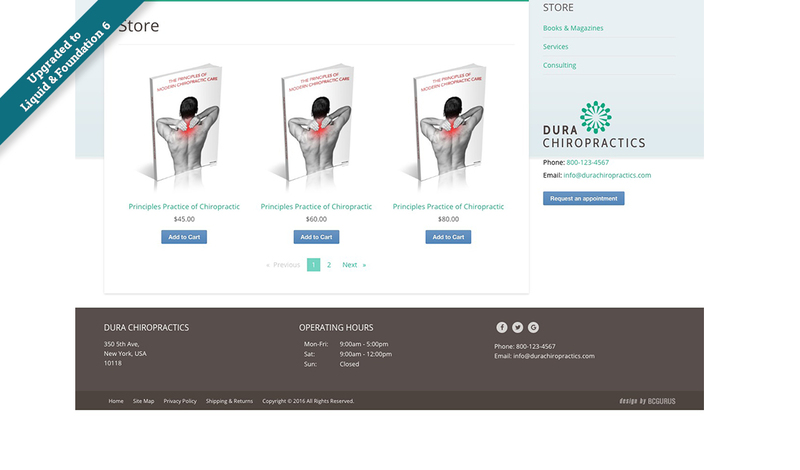 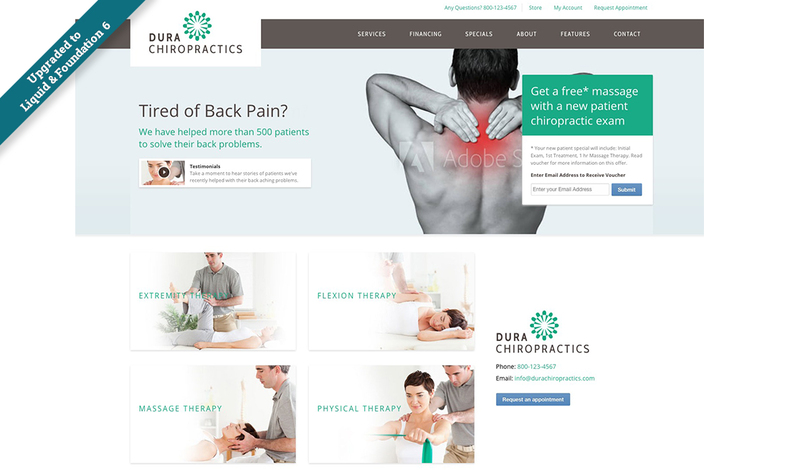 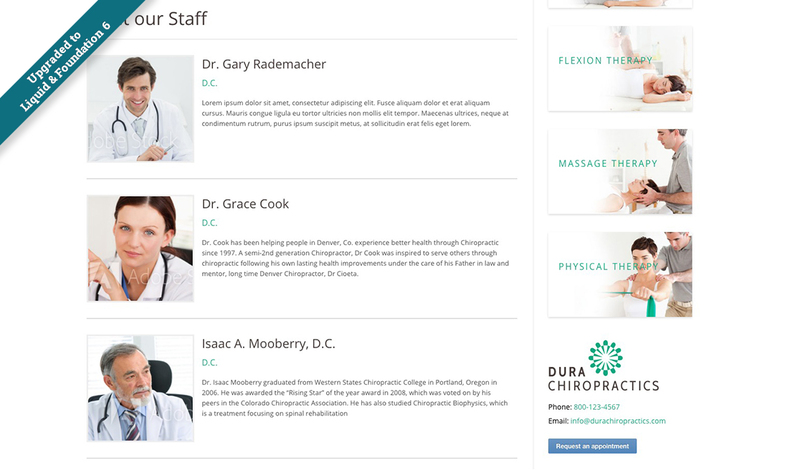 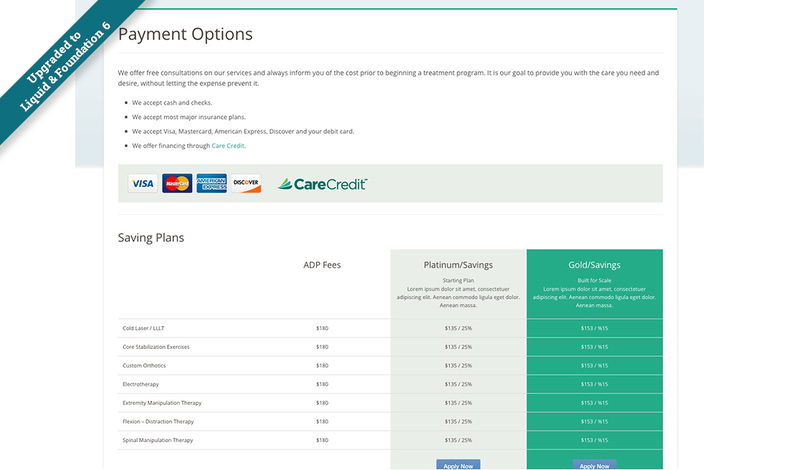 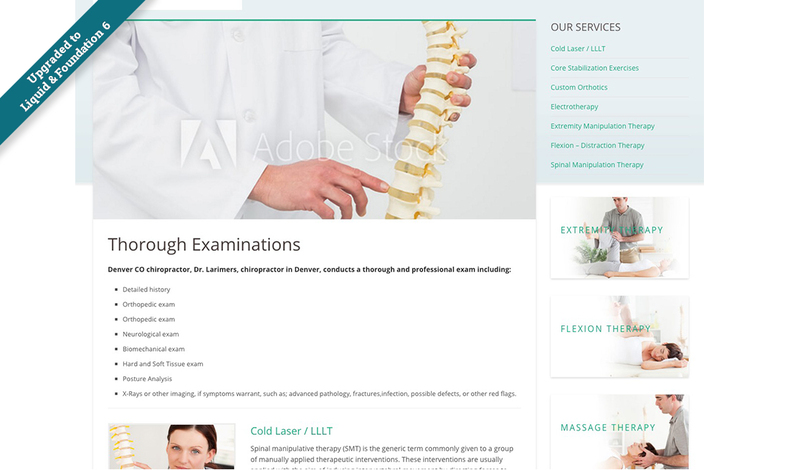 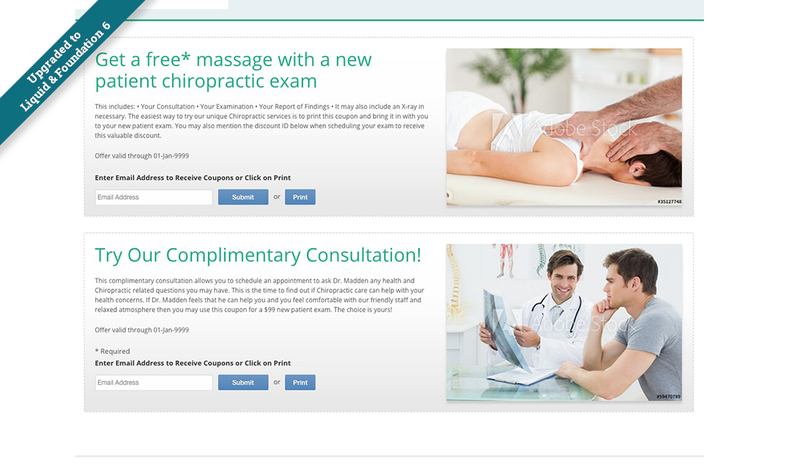 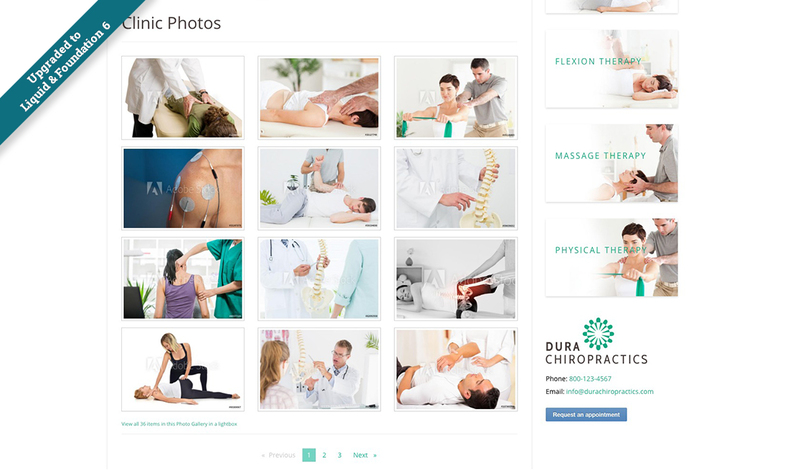 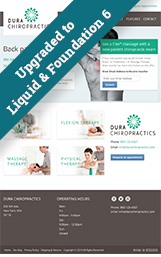 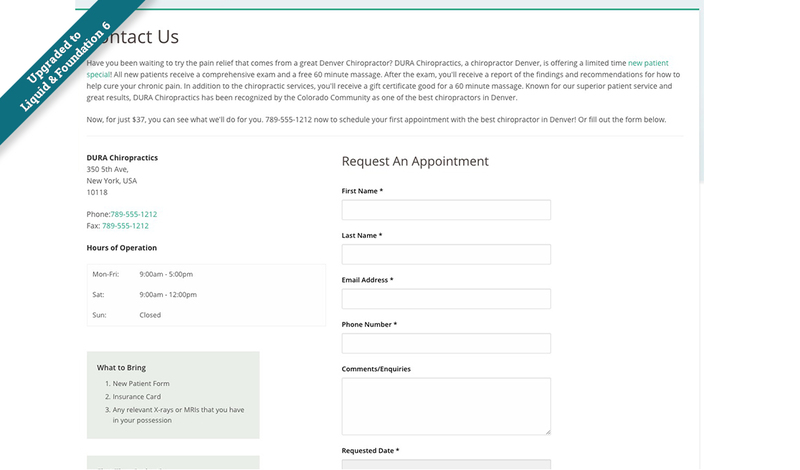 The Chiropractic Care template is a professional service focussed design, for a small doctor, dentist or lawyer office. 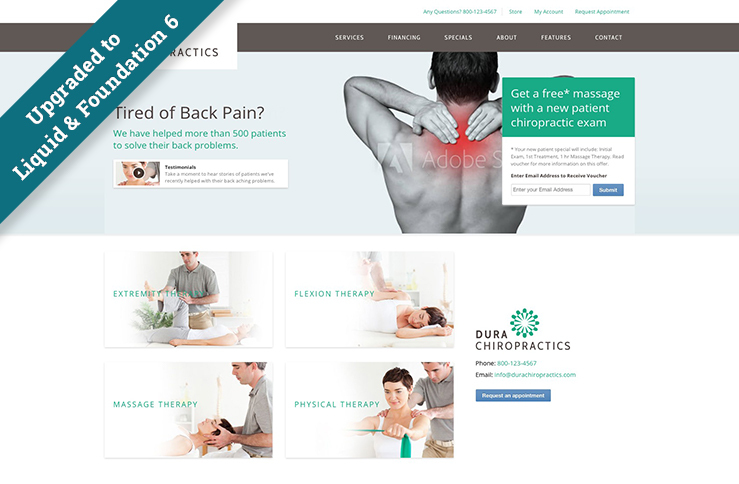 It’s a simple and straight forward layout and could be a great way to get a new website set up and running. 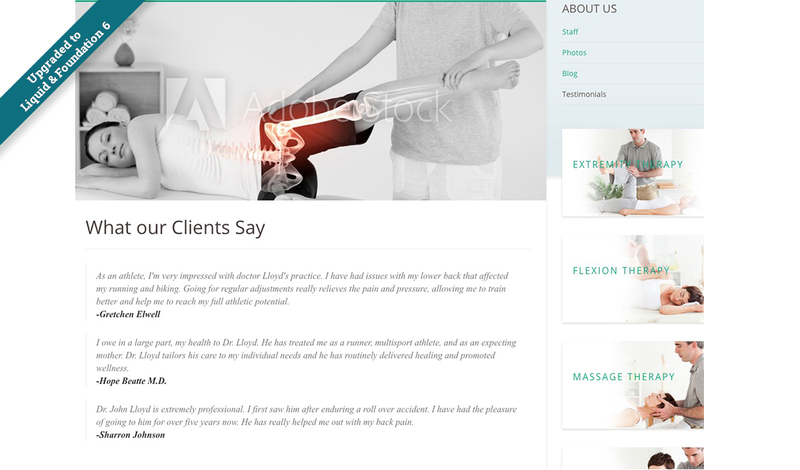 The Home Slider, Home Services section, Services page, Specials, Staff and Testimonial sections are web app driven, making it easy for you and your client to quickly add and update content.